According to the recently released Microsoft Security Intelligence Report (2H2008), social engineering is taking the lead as the preferred method of network and end-user device malware infection. Since operating system vulnerabilities are slowly disappearing and more organizations are implementing basic network controls, the easiest way to a target system is via the end-user. 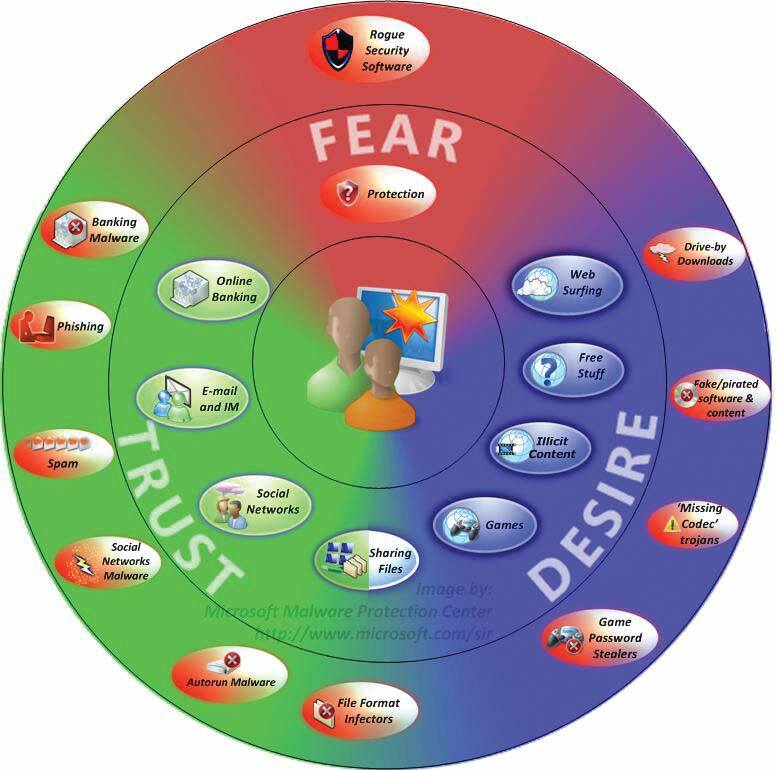 According to the Microsoft SIR, users fall prey to social engineering attacks because of three common modes of human behavior: fear, trust, and desire. As depicted in Figure 1, each of these behaviors is targeted by specially crafted attacks. Apparently it takes a congressional hearing to sort this out. The PCI standard, long touted as one of the private sector’s best attempts to regulate itself on data security, is increasingly showing signs of coming apart at the seams. At a hearing in the U.S. House of Representatives Wednesday, federal lawmakers and representatives of the retail industry challenged the effectiveness of the PCI rules, which are formally known as the Payment Card Industry Data Security Standard (PCI DSS). They claimed that the standard, which was created by the major credit card companies for use by all organizations that accept credit and debit card transactions, is overly complex and has done little thus far to stop payment-card data thefts and fraud. No, Congress is certainly not the right body to control cybersecurity. However, in this case I think they got it right by simply stating the obvious. Most companies required to jump on the PCI DSS wagon are SMBs. So implementing security controls to protect cardholder information is not an easy task. And the difficulties begin when business owners and managers realize they don’t even know where to start. The PCI Security Standards Council, using information from security breaches, security assessors, and forensics investigators, recently released a set of tools to help jumpstart the process. Although the council’s tools are useful, I disagree with how some of the compliance tasks are prioritized.